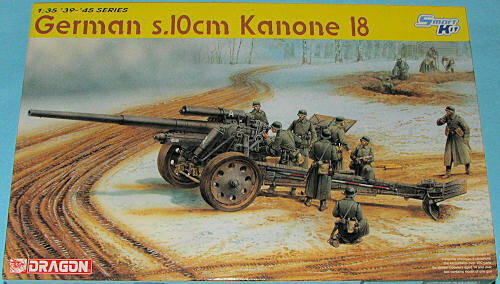 The 10 cm schwere Kanone 18 (10 cm sK 18) was a field gun used by Germany in World War II. The German army wanted a new 10 cm gun as well as 15 cm howitzer which were to share the same carriage. Guns are heavier than howitzers due to the longer barrel. This also led to the 15 cm sFH 18. As such both weapons had a similar weight and could be carried by a similar carriage. By 1926 Krupp and Rheinmetall had specimen designs, and prototypes were ready by 1930, but was not fielded until 1933–34. 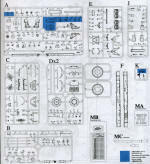 Both Krupp and Rheinmetall competed for the development contract, but the Wehrmacht compromised and selected Krupp's carriage to be mated with Rheinmetall's gun. It sometimes equipped the medium artillery battalion (with the 15 cm sFH 18) of German divisions, but generally was used by independent artillery battalions and on coast defense duties. Around 1,500 guns were produced until 1945. After the war it served with the Albanian and Bulgarian armies. You can basically paint this one in any of three schemes. 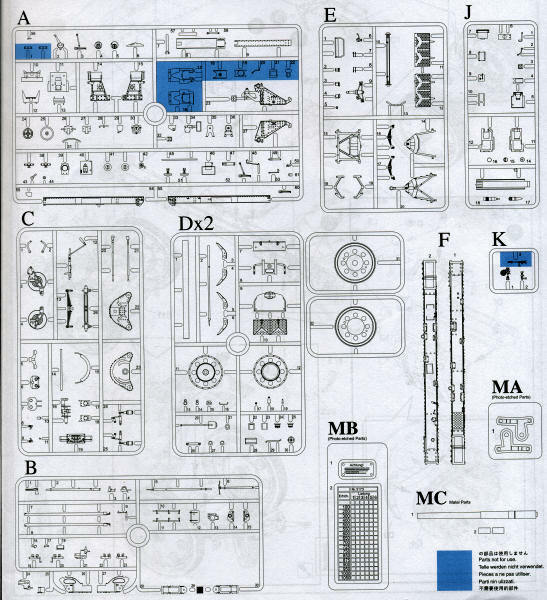 There is the overall panzer grey scheme, the overall panzer tan/yellow scheme and one with a base of panzer tan/yellow with khaki green mottling over everything. The molding of the kit is superb and thanks to a relatively low parts count (260 parts), should go together with some speed. It is a great addition to Dragon's growing collection of artillery pieces and one that will look great either by itself or in a diorama.